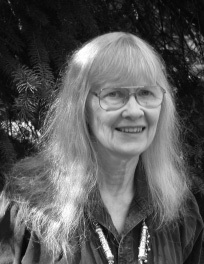 Judith McCombs' poems appear in Calyx, Delmarva Review, Measure, Nimrod (Neruda Award), Poet Lore, Poetry, Potomac Review (Poetry Prize), Prairie Schooner; on line in Innisfree Poetry Journal, MyPoesis, Talbotspy.org, Truck, and Shenandoah (2012 Gowen-Graybeal Poetry Prize); and her fifth book, The Habit of Fire: Poems Selected & New. She's held NEH and Canadian Senior Fellowships, and in 2009 won Maryland State Arts Council's highest Individual Artist Award. She arranges a poetry series at Kensington Row Bookshop in Kensington, MD, copy-edits for Word Works, is Vice President-Archivist of Federal Poets, and part of Splendid Wake's GWU committee.